Netflix expects subscriber growth to slow in the second quarter as the film and TV streaming firm continues to roll out price rises. However, Netflix expects that number to slow between April and June. The company is lifting its prices across the US, Brazil, Mexico and some parts of Europe to help fund the production of its own content. Eric Haggstrom, forecasting analyst at eMarketer, said the revenues generated by the price increases will help Netflix differentiate itself in an increasingly crowded industry. The company has produced a number of critically acclaimed films and series including The Crown and the Oscar-nominated Roma. Most recently, Disney and Apple separately announced they would be launching their own rival streaming services. Netflix said it was "excited to compete" with its new rivals, adding: "We don't anticipate that these new entrants will materially affect our growth." But in the meantime, it expects to see some "modest short-term churn" in subscribers which will fall 8% to five million compared with 5.4 million in the second quarter last year. Netflix said for the first three months of the year, profits had risen to $344m compared with the same period last year, with sales up 22% to $4.5bn. While total revenue is expected to increase to $4.9bn in the second quarter, income growth was forecast to slow to $249m. 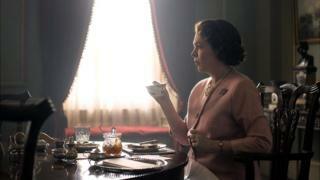 Netflix said it was looking forward to a "strong slate of global content" in the second half of the year including the third series of The Crown, this time starring Oscar-winner Olivia Colman as Queen Elizabeth II and Stranger Things.